This is a guest post from Hans at Travel Photographs! Machu Picchu is one of the most magical places I was able to visit in my lifetime, although it’s quite hard to get there. You will have to fly to Cuzco first, and then continue your journey by train towards the town of Aguas Calientes. 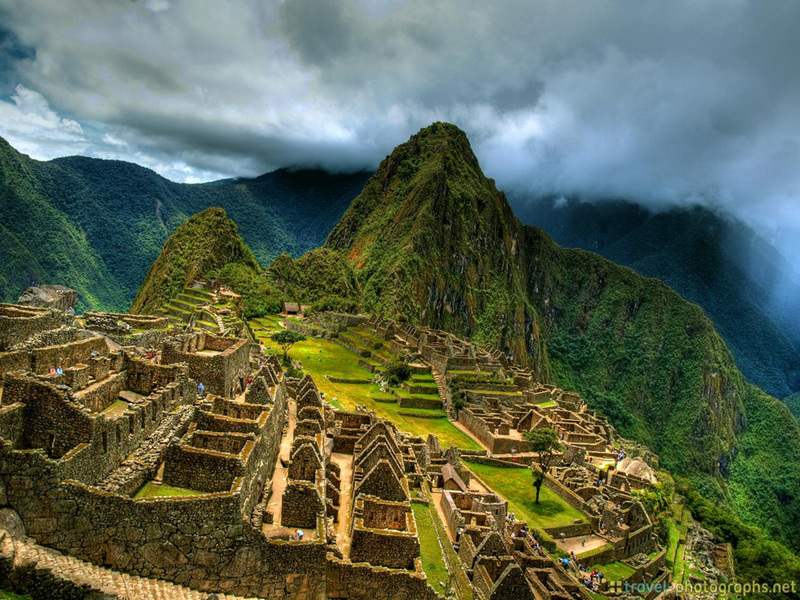 There are no roads that lead to this ‘base camp’ of Machu Picchu! After spending a night at a hostel there, I woke up at 5am and took the shuttle bus to get on top of the mountain to access this famous sight. You should definitely get there as early as possible, as it gets quite crowded at noon (when day trips from Cuzco arrive). I even managed to get one of the few tickets to climb ‘Huyana Picchu‘, the big mountain in the back of the photo. As the altitude is at more than 8.000 feet, it’s quite exhausting to get to the top – but the view is so worth it! When I went there in the morning, the clouds were just disappearing from the valley and the awesome view on Machu Picchu was revealed – an experience of a lifetime. I’ve spent a total of six days in Peru and can only recommend travelling to this beautiful country! Do you want to submit a Travel Photo of the Day? Head over to our Guest Post section! Thanks for the information, it is beautiful place.